After a rest day I had three consecutive days of tours, with three different guides: one black, one white, one colored. That’s the way the races are differentiated here, “colored” being a very acceptable term that refers to anyone of mixed race or descending from one of many cultures including Malaysian, Indonesian, etc. My black guide, Ludumo, took me on a tour of the townships surrounding Cape Town so I expected him to be political and opinionated; I wanted that from him. 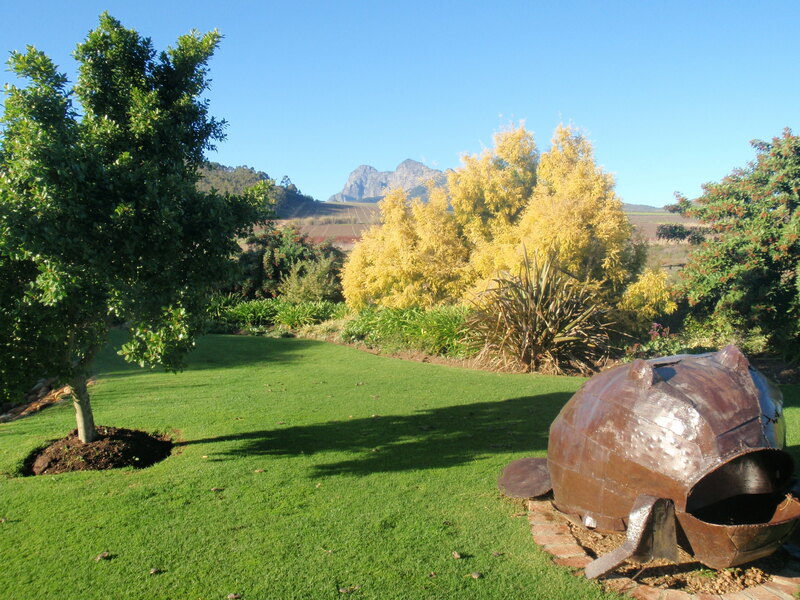 The next two guides took me to wine country and on a very scenic tour to the Cape of Good Hope, but they were open with their opinions on South Africa, its problems and its politics. And their perspectives were all very different. Apartheid, in the form of the Group Areas Act of 1952 which forced everyone to live only with their own race, is a cloud that won’t go away. There are many people here who are either defensive or angry about the past. Of the 50 million people in South Africa 40 million are black, four million are white (three million considered Afrikaner and one million British), four million are colored, and two million are primarily Asian. The African National Congress, Nelson Mandela’s party, has been in power since 1994 and with such a dramatic racial imbalance it’s difficult to imagine the opposing Democratic Alliance ever presenting a challenge. Now that anyone over 18 can vote the ANC does an effective job of keeping the tribal chiefs happy, and the chiefs in turn guarantee support for the ANC at the polls. The DA attempts to court the bigger tribes by pointing out the ANC’s unfulfilled promises for things like improved education, but the loyalties are strong. The townships tour was shocking, as I’d anticipated. It’s not just the ramshackle huts made of cardboard and corrugated tin, or the rows of port-o-johns ready to topple into a drainage ditch. It’s the scope of these places, how huge they are and how far they extend, and how many people are packed in there. We started in the township where Ludumo lives, called Longa; 82000 people live in not much more than a square mile, I would guess. There are a few nicer homes and some paved roads through the heart of the community, but away from the core the conditions are unspeakable. We went through three or four more townships, all of them larger than Longa, all jammed together, reaching endlessly along the highway toward the airport. 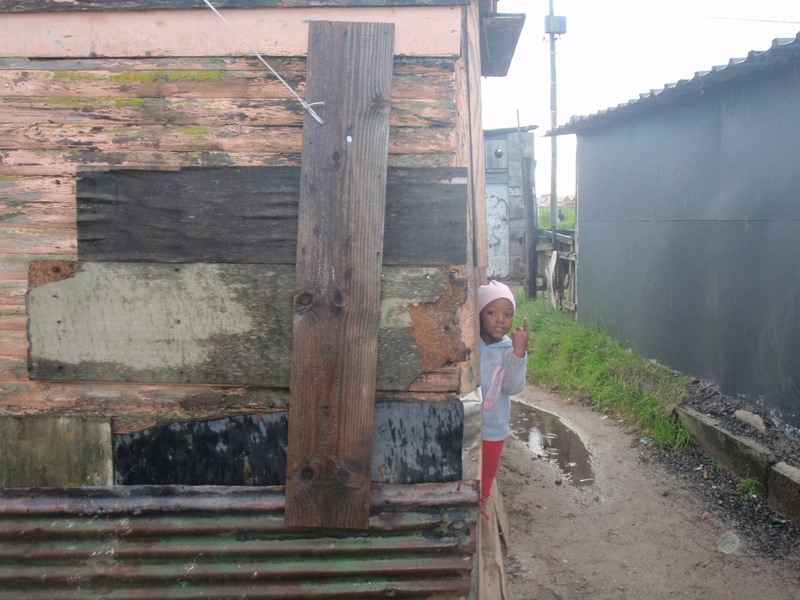 Ludumo took me to one township he said was all colored … “much bigger problem here with crime and drugs,” he said. Others would tell me a different story. At the end of the tour we visited the District 6 Museum. 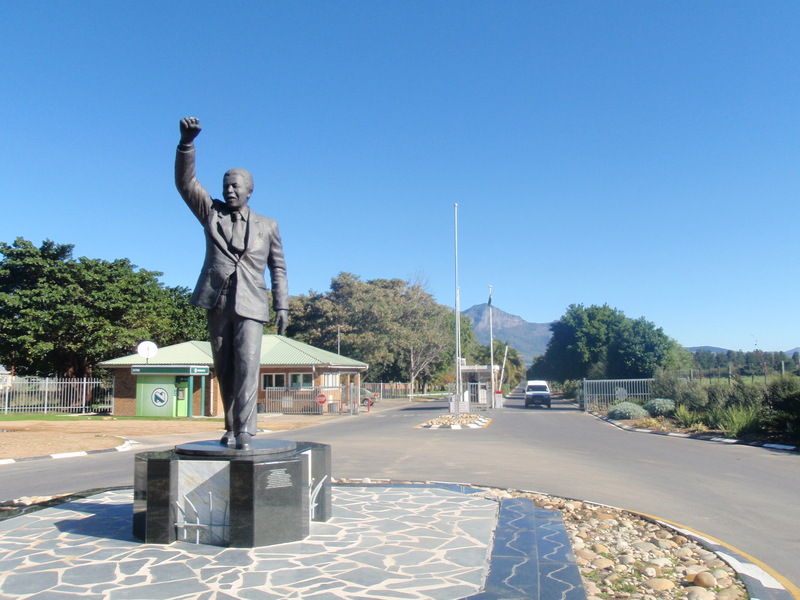 District 6 is closer to the center of Cape Town, and in 1966 the blacks living there were uprooted by apartheid and relocated to where the townships are now. The museum provides a detailed and emotional look and the personal stories of so many people who were happily working and raising their families only to be thrown out of their homes. It’s a lot to process, and I was relieved the next day to do something a bit less intense: sample some wines. The tours are as diverse as everything else in this country. I had others with me this time, a family of three from Brazil who neither spoke English nor drank wine, and Chris and Cathy, a terrific couple from Australia. 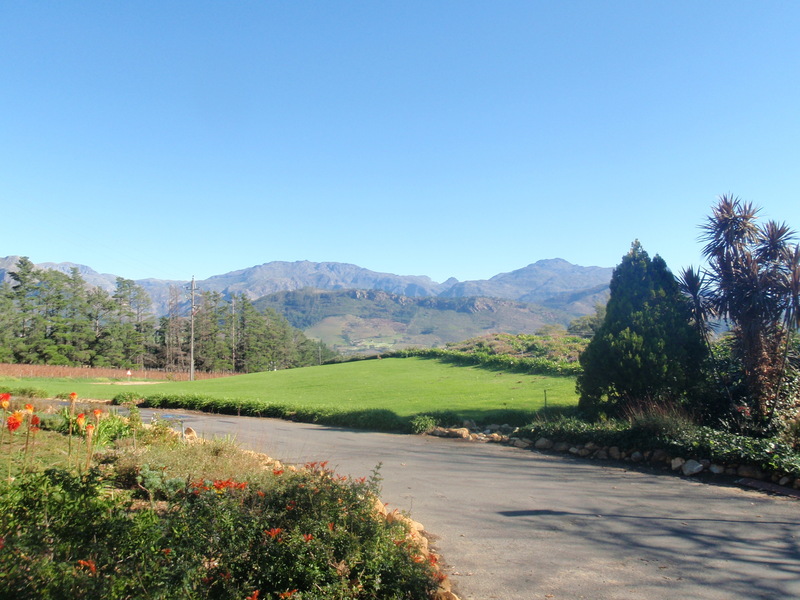 We stopped at two vineyards for tastings in the morning, had lunch in a delightful and well-known French village called Franschhoek, had one more tasting in the afternoon and then headed back to town with a nice little buzz. Chris and Cathy and I made plans to catch up in Zanzibar, I had dinner that night with Patrick Nolan, the guy I met on the street from Jacksonville Beach, so all in all a good day and a chance to see some truly beautiful countryside. Our guide during the wine country tour was an older Afrikaner, a white guy of Dutch descent. Throughout the day he said things that in the States would be considered racially insensitive. At the same time, though, he insisted on taking us to the Groot Drakenstein Prison, from which Nelson Mandela was released to freedom in 1989. He was quite obviously emotional about this place and he even quoted some of Mandela’s comments from that day. Mandela was universally loved and respected, and he is missed in a position of leadership. 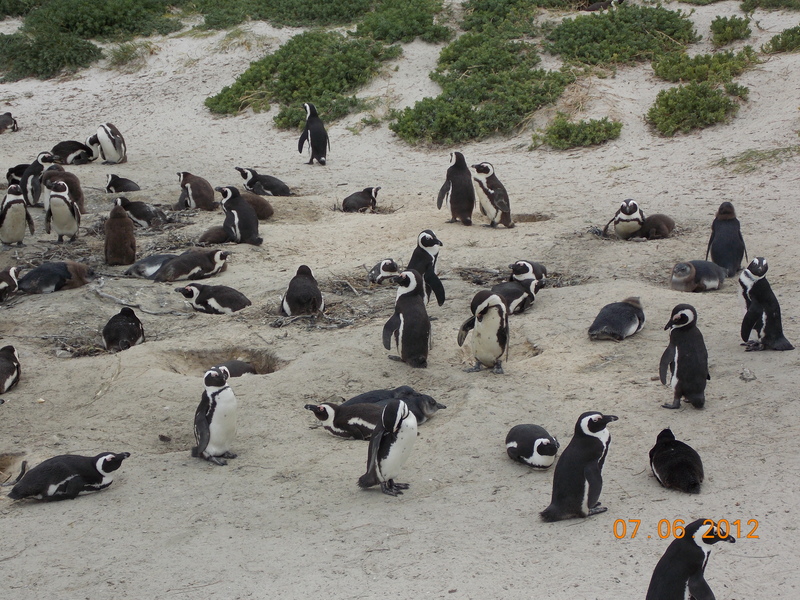 On the final day of touring we saw some seals in beautiful Haut Bay, saw some penguins, and had a wonderfully scenic drive to the Cape of Good Hope which, I was surprised to find out, is not really the southernmost point in Africa; I would get there in a couple of more days. I was limited in how much I could walk, which was frustrating, but enjoyed the day and the company. In our van was a family of five from Pakistan, a young couple from Finland who are in South Africa to research elephants, and Ben, an American who was attending a conference in Johannesburg and decided to come to Cape Town for a few days. Ben has an interesting job. He is head of biological security at Yale University, a department that employs 50 people. He said that at Yale, as with many of the bigger schools that do a lot of research, the community is demanding that the university take responsibility for making sure the Ebola virus some student is working with doesn’t wipe out New Haven. The highlight of my final day in Cape Town was a dinner party with some local folks arranged by Arlene Pullin, who did an amazing job putting together my entire 20-day South African itinerary; she was introduced to me by my friend Dennis Alpert, who had spent three years with his family in Cape Town when working for the PGA TOUR. We were guests of Margi Biggs, a marvelous woman who has been nominated for South Africa’s Woman of the Year because of the very successful non-profit organization she started called Street Smart, which helps street kids find a better path. Margi somehow managed to be a thoroughly entertaining hostess while preparing a gourmet meal, and her guests were terrific fun as well. It was a great night, involving a minimum of political conversation and some very good wine. I would leave Cape Town the next day feeling like I had missed quite a lot. I wanted to see Robben Island, where Mandela was imprisoned for so long, but I didn’t because of timing and weather. I also didn’t go up to Table Mountain, a majestic plateau that overlooks Cape Town and has a revolving cable car that insures everyone gets every possible view. You can take a couple of hours and walk up and then ride down, which with good knees would have been fun. Gives me a good reason to return. But overall Cape Town gave me an exceptional introduction to South Africa and the issues that exist here. And it introduced me to a lot of wonderful people who may have different perspectives on very complicated issues, but they also have hope, and that can take them a long way.